Do you need Rear Windshield Repair? Does your rear windshield have a severe crack or chip in it? If so, look no further than SeeCured Auto Glass in the Lehigh Valley for your rear windshield repair needs. We ensure a world-class experience. SeeCured provides Auto Glass replacement services in Allentown, Bethlehem, Easton, and the Greater Lehigh Valley. Our company is dedicated to high-quality rear windshield repair and customer service. Having a cracked windshield can be a very stressful predicament. We understand this and aim to make the entire process as easy as possible to give you peace of mind. We pride ourselves in our craftsmanship and phenomenal service. SeeCured Auto Glass uses the highest quality materials and glass to achieve perfection with every rear windshield repair. The professionals at SeeCured Auto Glass are prompt, courteous, and reliable from start to finish. Our job is to keep your auto glass secure, and we're committed to that. Windshields are made of laminated glass, able to withstand impact and support the structural integrity of a car. 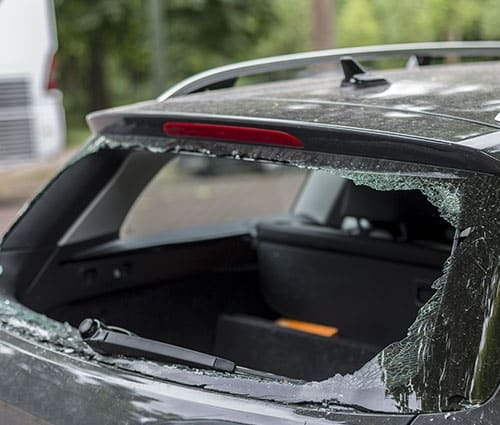 It’s essential to have a structurally sound, correctly fitted, and adequately secured windshield in your vehicle to ensure the safety of you and your passengers. Driving with a damaged or improperly adhered rear windshield is dangerous. For example, the windshield could pop out on impact in an accident, negating any safety and protection it is supposed to supply. You don't want to risk that happening. Small chips or cracks in your rear windshield can develop into more significant problems. Count on SeeCured Auto Glass to quickly and efficiently determine the issue and provide a solution for your cracked rear windshield. Your safety is important, and at SeeCured Auto Glass, we go above and beyond to ensure the windshield replacement is handled with care. One of the most important things about our auto glass company is our commitment to offering exceptional quality at an affordable price. We guarantee low, fair prices when replacing all types of windshields, regardless of car make and model so you can get back on the road. Contact us for a quote and see why no auto glass shop is as quick, qualified, or convenient as we are. We're happy to answer any questions you may have and assist you with your auto glass replacement needs.